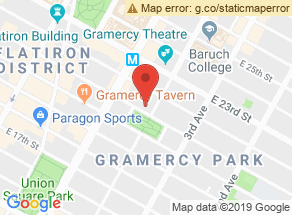 One of New York’s most popular hotels is the Gramercy Park Hotel; this iconic hotel is located in a residential neighborhood which is around 5 blocks from the Union Square Subway Station. From the outside this historic hotel has a downtown vibe that surpasses any of its competitors. But what really sets the Gramercy Park Hotel above the rest of the pack is its intricate interior that attracts guests from all around the world. This spectacular hotel was designed by the most iconic artists that have blessed out society such as Julian Schnabel. The moment a guest enters this hotel it takes them a second to realize just how beautiful this hotel is. The hotel lobby is without a doubt a work of pure art as it looks like something straight out of a movie scene. The rooms are just as artistic as the rest of the hotel, with their beautiful antique furniture and colorful interior ensures that every guest has an experience that they will remember all of their lives. These rooms are also equipped with superb amenities such as mahogany drinks and a flat screen TV. Some rooms even have great view of the adjacent parks, but besides the rooms this hotel also is the forefront choice of many business men and woman due to its top of the line conference rooms and meeting rooms. Good location, close to public transport. Good shopping and sightseeing. Awesome vibe. Friendly atmosphere. Stylish hotel. Entrance area is ok. Luxurious Hotel. Hotel could use some updating. Nice for romantic trips. Luxury hotel. Nice boutique hotel. Nice bar with tasty alcoholic drinks. Standard beverage prices. Food and menu are great, but it's pricey. Awesome pasta. Friendly and professional housekeepers. Bad service from reception and mediocre waitstaff. Great concierge service. Room service is average. Nice hotel buildings and lovely terraces. Beautiful architecture. Facilities and entrance area are okay. Great beds and views, but so-so furniture and cleanliness. Small but relatively clean bathrooms. Deficient A/C in poorly-maintained rooms. Shower can be a problem. Decently clean rooms and bathrooms. Moderately clean hotel facilities. Value for money could be better. Food is a bit overpriced. Standard beverage prices. Wellness & sports facilities could be improved. Average fitness area.